“Calypso Park” is located just 6km from the shopping centre and features a three bedroom brick home, a very substantial shed, and 72.6 acres, consisting of fertile low flats rising to a great balance of flood free hill country. The home was built in 1982 and overlooks the productive wetlands below; enjoy watching your horses or cattle graze, and take in the views of countless bird species frolicking. The home has two air conditioners and a wood heater for the cooler months, and two of the bedrooms have built-in-robes. The bathroom is light & airy and boasts a claw-foot bathtub. There is a double-length car garage attached to the home which has a loo & shower at the front, handy for entertaining or when you come in off the farm. The six bay shed has a long skillion out the front, along with a two bay high-roof machinery shed, so all the toys & tinkering are taken care of. The property is divided into five paddocks with A1 fencing, and there is a good set of stockyards along with a round yard and horse stables. Hawthorne Park Equestrian Facility is just 4km from your front gate. 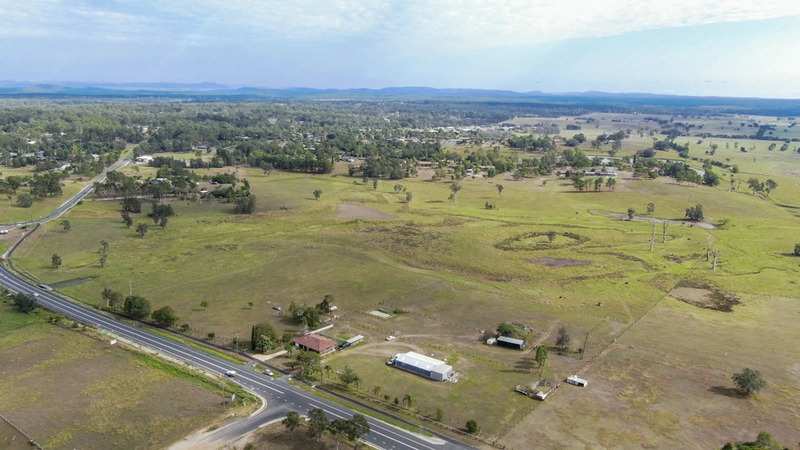 This property is situated fronting the Gwydir Highway near the Rogan Bridge Road turn-off and, being so close to town, is sure to attract the interest of business operators, investors, and families or retirees looking for acreage just outside the town boundary. This property presents many sought-after attributes; close to town, a solid brick home, good shedding, and great farm infrastructure. Please don’t hesitate to make your interest known; phone JoJo Newby of Farrell McCrohon Stock & Station Agents on 0417 690 637 to arrange your inspection.